Two roads diverged in a wood and I – I took the one less traveled by, and that has made all the difference. Robert Frost. There are diverging paths in the development of understanding of parental alienation in the UK at the moment. I dare say this same schism appears around Europe too and indeed, across the world. One path, which is being laid by the European Association of Parental Alienation Practitioners, is aligned with the worldwide expertise in research and practice with families affected by PA. Whilst the other is a sort of do it yourself approach which seems to ignore all of the key evidence, in favour of the belief that both parents in a PA case are always, somehow to blame. This path, which also appears to be the populist path which is being followed by CAFCASS in the UK, holds that PA is a high conflict issue in which systemic family therapy is the right approach. This is contrary to international evidence. Some time ago, Nick wrote about the problems in using such an approach and it is worth repeating his conclusions here. In cases of pure alienation, the alienating parent can’t or won’t change their behaviours and no amount of systemic therapy can alter that. Such behaviours often come about because the response of the alienating parent to the separation or their hatred of the other parent has become pathologised. Sometimes the behaviours are a continuation of longstanding patterns of power and control (Woodall, 2014) and sometimes because the alienating parent has a defined personality disorder which prevents them from behaving otherwise. In such cases, it is simply wrong to subject the targeted parent to the ongoing pathological hostility of the other parent whilst being asked to reflect on their own contribution to the family dynamic. And it is tantamount to complicity in the damage to the child to allow the alienation to continue indefinitely in the hope that the alienating parent will at some stage come to recognise that their behaviour is, ultimately, abusive. Most importantly, alienated children are not in a position where professionals can engage in open-ended therapeutic interventions in the hope that the disordered system will once again function. What is required is not that each parent is asked to reflect upon the dynamics and accommodate the other parent’s perspective but that the alienating parent is forced under threat of sanction to behave differently and, where that is not possible, the child is removed from the harm being caused to them. The job of those of us working with families where alienation is present is not to bend the realities of parental alienation to meet the structures and theories of our own practice but to ensure that the interventions we use meet the realities of the situation. .… Not only are traditional therapies of little, if any, benefit in regard to treating PA, but they usually make the situation worse, often catastrophically worse. One of the oldest heuristics in medicine is primum non nocere—Latin for “first, to do no harm.” It would be difficult to find a more common yet egregious violation of this heuristic than an order for what amounts to traditional “reunification” therapy for PA. Not only are such therapies known to be ineffective, they are known to be potentially harmful. To be sure, we do not have randomized, double-blind, prospective clinical trials to document this, but do we have copious case reports and much empirical as well as expert consensus among bona fide specialists. What’s more, one would expect this to be true on theoretical grounds. For one thing, we know that such therapies waste time that could have been used to provide effective interventions. For another thing, effective therapies employ radically different approaches and techniques from those of traditional therapies. For instance, traditional therapies attempt to “validate” the child’s feelings, encourage the child to express grievances, and give the child some “control” or choice while advising the rejected parent to listen, empathize, validate, and apologize (or even to “find something to apologize for”). This misguided approach runs rampant in some quarters where, referring to the parents, it is common to claim, “Both parties always participate.” In effect, this further empowers the already over- empowered child, and further disempowers the already disempowered parent. This is not only likely to be futile, but the exact opposite of what effective therapies do. Effective therapies disempower the over-empowered child and re-empower the disempowered rejected parent. And this is only one major difference between effective and traditional therapies–there are more than a dozen. Seen in this light, traditional therapies are contraindicated except, perhaps, as a brief therapeutic trial (for a few weeks, not a few months) if and only if the diagnosis is unclear. It is therefore critical that all parents in Europe who are affected by parental alienation, along with the judiciary, lawyers and all family services involved with the family, are educated to understand what internationally recognised practice in this field looks like. This is one of the the roles of the European Association of Parental Alienation Practitioners, which launches its new membership scheme in London on August 30/31st 2018. The conference is shaping up to be a landmark event, with over three hundred key practitioners from Europe attending. In the UK, MPs from the English, Welsh and Scottish Parliaments will be in attendance along with leading Judges from five EU countries including the UK. Leading lawyers and barristers, key mental health practitioners and people with the power to make significant changes in this field will be attending, for a two day conference which will be dialogical in nature and which will set and endorse standards of practice expected from anyone who works in this field. Parent Panel representatives from around Europe will help shape this discussion and ensure that the needs of rejected parents are properly heard and incorporated into the agreements made. 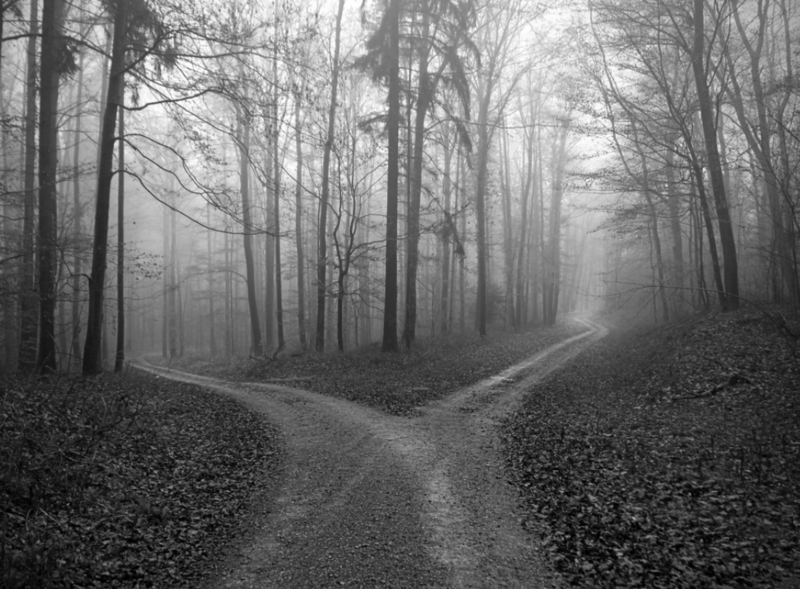 This is the road less travelled by in parental alienation because it is the one which identifies and meets the real needs of children and families, not those which are presumed by those who do not understand or use the counter intuitive approach which is required in this field. The counter intuitive approach to this work is widely discussed by Steve Miller here. It is worth digesting this article because Steve Miller is a key expert in this field and someone who is widely respected for his work. Steve will present the evidence for the counter intuitive approach to PA at the EAPAP Conference, which along with the research evidence set out by Amy J.L. Baker, will converge to produce the compelling reasons why internationally recognised standards of intervention look nothing like systemic or other generic forms of therapy. We know that the road less travelled by is uncomfortable for some. For CAFCASS for example, who are keen to extol the virtues of the he said/she said, high conflict version of parental alienation. This approach is a classic mistake made by practitioners who believe that their interventions can bring about change and who spend a great deal of time persuading rejected parents that if they would just change their behaviours a little bit more, change will surely come. If you are involved with such people, take the greatest of care, because not only can they make things worse for you, they can make things much much worse for your child. Any practitioner who is using internationally recognised standards of practice will seek to reintroduce you to your child immediately and will then use therapeutic intervention after the reintroduction has been done. Please do not believe the hype of self proclaimed experts but ask for evidence – if they cannot introduce you to someone they have helped (and that means someone whose child who has been reunited through their work), give them a wide berth. There is no need to be someone’s guinea pig in this field anymore or take someone’s word that they are expert in this field – with the opening of the EAPAP training and membership scheme, practitioners who work to internationally recognised standards of practice are and will become, increasingly available to you and reliable in their statement of expertise through the holding of the EAPAP accreditation. The EAPAP Conference marks a significant shift in regulation of practice with children and families affected by PA in Europe. With a powerful team of people who are committed to developing this project across Europe, the internationally recognised standards of practice are finally here and will be presented, endorsed by those with the power to create change and rolled out in the months to come. Anyone who is truly engaged in internationally recognised practice in this field and who is concerned with ethical practice, will be helping to build the road less travelled by. The others are continuing on the same old populist road of making the problem all about the parents and as such, should be avoided. The EAPAP Conference is attracting the attention of UK MPs as well as the Judiciary and Lawyers across Europe. The media is also showing a strong interest and we are now planning our media strategy. A survey of parents will shortly be launched on this page and around Europe and all parents are encouraged to take part as a precursor to our interactivity at the conference in August. Watch this space for details. To attend as a parent representative on our parent panel, please email us at office@eapap.eu We are nearing capacity for these tickets so if you would like to attend, please email us now. The full programme for the conference will be announced in mid August. Invoices for parents who have requested them are being sent out now. Your place is confirmed on payment of your invoice on a first come, first served basis so please do not wait to make payment as we are nearing capacity on parent places. Joining instructions will be sent to everyone in the week prior to the conference. Omg. This is exactly what is happening to me. My children are receiving the traditional family therapy which is reinforcing their unjustified anger toward me. if you are in the UK Kim you would apply for a part 25 expert in your case. If you are elsewhere this would be a different process – perhaps US readers might advise?? Brilliant like a thousand million suns. It’s too late for me and my lads teenage years stolen from us, but at least if my lad finds himself alienated from his own children if he ever has them that is then at least he will have expert advice and intervention at hand who understand what is happening and how…. and if being alienated from his own children becomes the unfortunate reality for him then he and I may well be reunited in the future too upon his realization of what was done to him and how the feminist state interventions failed both him and I and made the situation worse. I would rather go without being reunited with him if it means he never becomes alienated from his own children, no parent should ever have to suffer such trauma, and especially so the children who should never lose a loving and available parent and everything that should have been theirs that was stolen and destroyed. Carl G., you remind me of the real mother in the story about King Solomon’s wisdom. I hear you Carl and I agree. I stepped away from an appalling legal process and decided to leave my daughters alone to be able to get on with their lives. Some people tell me I let their mother win, but she was never ever going to stop abusing them whilst I was still on the scene- hers was/is a pathological hatred of me and of my success as a parent to our daughters – resulting in the pure alienation described in the earlier part of the article here. At least now, they are no longer in a war zone – which was only being made worse by the ignorance and Dad-bashing attitude Cafcass Cymru and the Court. Thank you again and again for your work. You are on the right path. We need this in the United States. We are behind. Our uneducated, misinforming, money hungry therapist had me write a “letter of apology” to my girls. To what avail? Robbed as well of memories, experiences, that I can never enjoy. Four years now of alienation. Thank you for taking the road less travelled. I remain hopeful. I only wish I could have articulated some of this to Cafcass Cymru at the time of their willful and ignorant destruction of my life with my girls…but I don’t suppose they would have listened. Can only hope Cafcass sees sense soon re most cases of alienation being driven by the behaviours of one parent that causes reactions in the other. Won’t hold my breath though. I’m very sorry I won’t be able to make the conference sounds like it will provide great information and update on what is coming up in treatment for PA in Europe. I wouldn’t hold your breath Angela, I have it on good authority that they are following the Saini/Polak and Fidler/Bala route which is being taken by the AFCC, Relate and others in the UK. This approach, which is called an ‘ecological’ approach, largely puts the blame on the shoulders of both parents. I know Professor Bala and have written to him to ask him to endorse the conference as a way of ensuring that CAFCASS do not have an escape route to take when the MPs who are attending the conference ask CAFCASS what their position is on the conference. I won’t hold my breath on that having much meaning either. Meanwhile, elsewhere in the UK and Europe, the conference is reaching those with the power to make change happen – so we may well get over the heads of CAFCASS anyway!